New Belgium certainly needs no introduction. As one of the pioneers of the craft beer revolution, this employee owned company has been a part of the craft beer landscape since 1991. Thanks to the opening of their second brewery in Asheville, it seems New Belgium will soon be distributing to all fifty states. I actually had a chance to try French Oak Saison on a quick stop into the New Belgium Asheville location this summer. I rather enjoyed it then, so I was excited to see bottles on my local stores shelf upon our return home. Looking forward to diving into this with the ability to really focus on the details! 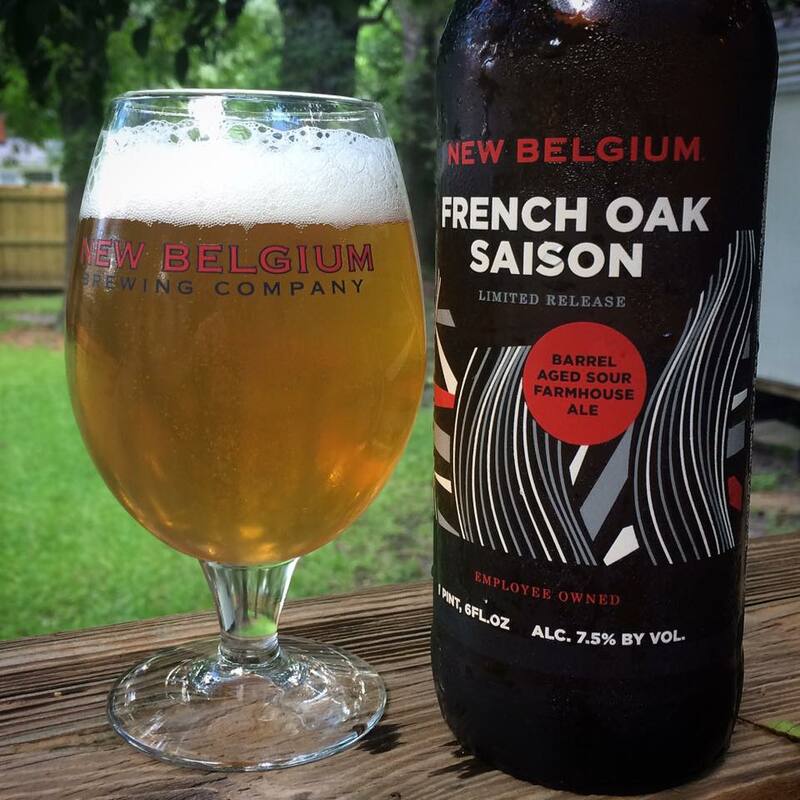 New Belgium French Oak Saison is a blend of barrel aged beer that comes in at a solid 7.5% ABV. Listed as a “limited release” on the bottle, it seems this would have fallen into the Lips of Faith series in recent years. New Belgium has been doing some serious overhauling of their branding and beers over the course of the past few years. I’m not sure if Lips of Faith was fully retired, but there is currently no mention of the series listed on the website. There is no mention of it on this bottle as well. As for the beer itself, this is how French Oak Saison is described on the New Belgium website, “… a dry, hop-forward Wallonia-style saison with a golden ale soured in French oak foeders for 15 to 18 months — a method derived from Flanders.” I cannot find a package date or best by date printed on the bottle. Although technically not a Lips of Faith beer, French Oak Saison does continue the same design esthetic on this beer label. The artwork is printed directly on the bottle and has a fairly simple broad stroke design. The curving lines sway upward and sideways giving the art a tall grass look to me . Bold grays, reds and tans compliment the easily read lettering. I’ve always been a fan of the appearance of most of the New Belgium 22oz bottles in the past, and this one is pretty sharp as well. French Oak Saison pours with an ever so slightly hazy gold color. A hint of yellow mingles in the appearance as well giving the beer a little bit of an “Arnold Palmer” iced tea like look to it. The head was a big and fluffy off white which settles to a nice dense layer on top of the beer after several minutes. A nice looking beer all around. A seemingly light and simple aroma at first, but French Oak Saison slowly surprises with a clever collection of aromatics. The first notes to hit my nose is a nice dose of lemon and a general doughy sweetness. Although not an exact replica, one of those powdered lemon jelly donuts comes to mind. You can tell this is a saison thanks to some distinct earthy grass and hay that lies just under the bolder notes. After a few additional sniffs some more complex layers begin to emerge. Notes of wildflower honey, peaches, a hint of pepper, vanilla bean and some mild coriander come out in the aroma mix. A touch on the sweet side without much in the way of major sourness, but this is a pleasant smelling saison overall. 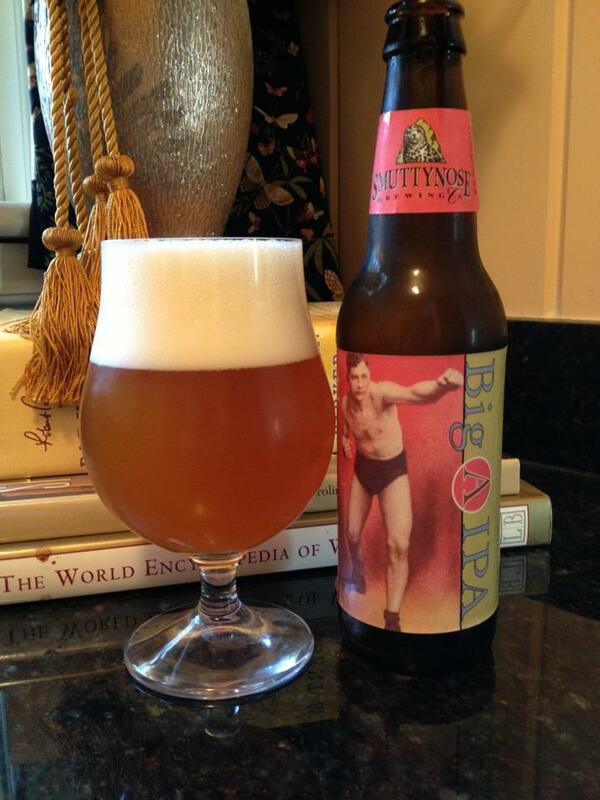 There is certainly a bit more of a tart punch in the taste than there was in the aroma. 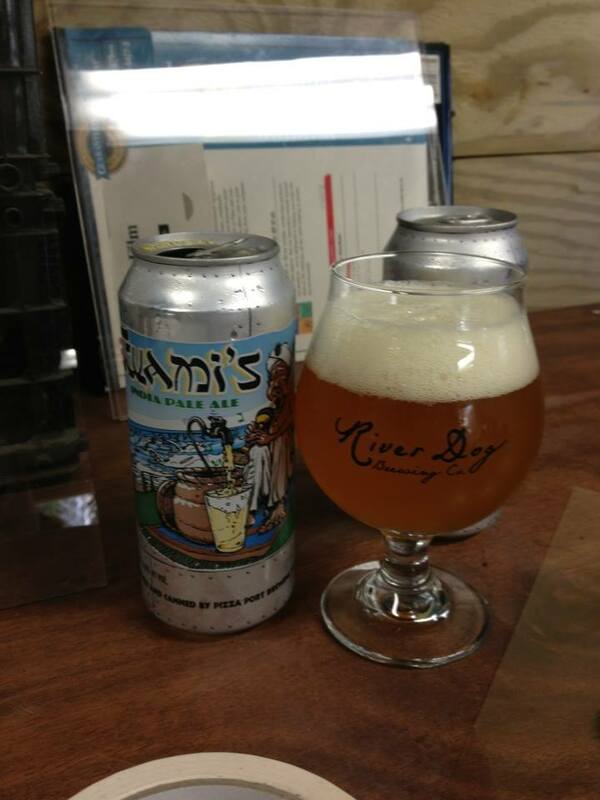 A mild bit of puckering tartness leads of the taste with flavors of sweetened lemons, green apple and grapefruit rind. The Belgian-style yeast adds a nice bit of ester and a light floral note. The malt bill has that same doughy quality I got on the nose. It isn’t a major player in the taste, but I think it adds a lot by cutting the fruity tartness a bit. The finish has a white grape flavor that really features the dryness of the grape skin. Mild oak with a slight hint of vanilla lingers on in the aftertaste, complimenting the white wine like grape notes. I’m finding this to be a really interesting take on a saison. Although it doesn’t have the outright booziness of a Belgian-style tripel, there is a lot in the taste that has me thinking French Oak Saison really resembles one. French Oak Saison is by all means a fine feeling beer, but I have to say it seems a bit under-carbonated for the style. 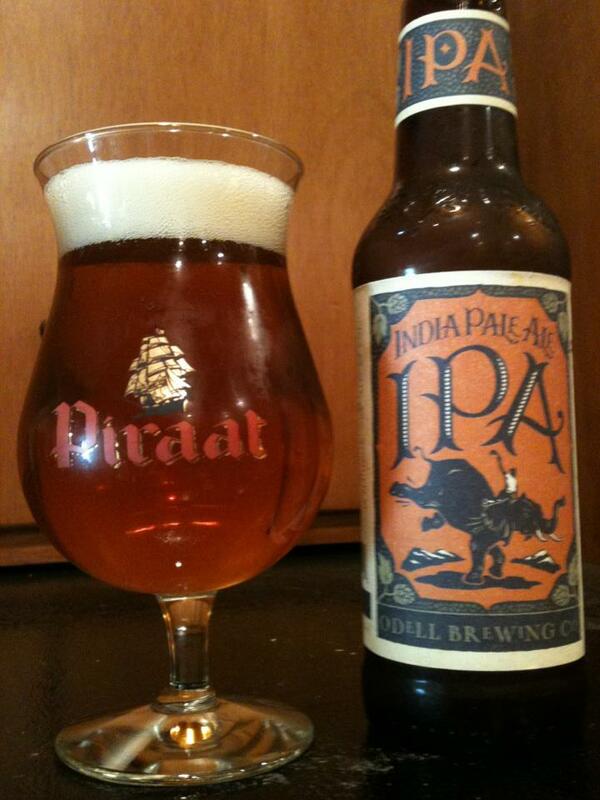 This beer isn’t flat, but I think I was expecting more of a burst of tingle in each sip. There is in fact more of a slight creaminess to this beer. It’s not a bad mouth-feel, but I was a little taken aback by it. The longer I sip on this, the more I adjust to the feel. I think I’ve come around on it. That creaminess is actually quite pleasant to me after half a bottle, especially with that little vanilla note in the finish! New Belgium in recent years has been one of the most prolific breweries in the U.S. It seemed like I was always finding a new beer from them on every visit to the store. Whether that was a new revamped seasonal, or a explosion of new Lips of Faith beers, the volume of beer was always prolific. Unfortunately, this did create a situation where I found a good bit of mixed results. As much as I respect New Belgium (their beer is always high quality), the sheer volume of offerings did create a number of beers I just did not care for. They have seemed to streamline their line-up a bit recently, I’m curious to see how that changes things. As for French Oak Saison, this is one that I really like quite a bit. New Belgium was one of the first breweries to really bring both barrel aging, and sour beer to the craft beer mainstream. They might not typically create the most extreme of either of these kinds of beers, but they are masters at making them balanced and approachable. This beer has just enough barrel and sour character to be interesting while remaining highly drinkable. They call this a limited release, but I would find it hard to believe this one could be considered rare. On the scale New Belgium is producing these days, French Oak Saison should be extremely easy to find all over the country.